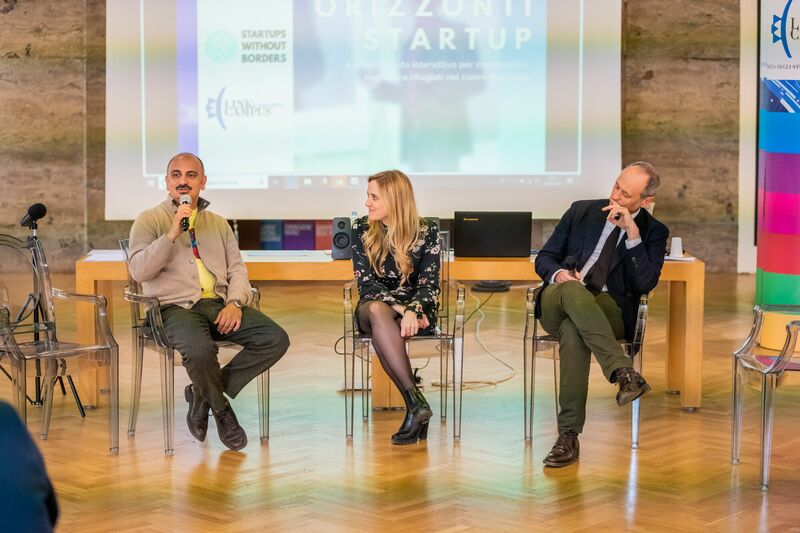 On March 28th, Rome’s Link Campus University hosted the first event for migrant entrepreneurs from across Italy, called “Orizzonti Startup,” an event organised by Startups Without Borders along with its partner Link Campus University. Aiming to connect migrant and refugee entrepreneurs with the growing migrant startup ecosystem, the event gathered entrepreneurs from countries as diverse as Gabon, Senegal, Tunisia, Morocco, Russia, Iran, and Eritrea, who made their way to Link Campus University for an entire day of talks, workshops and a pitching competition that saw 5 entrepreneurs take home prizes. 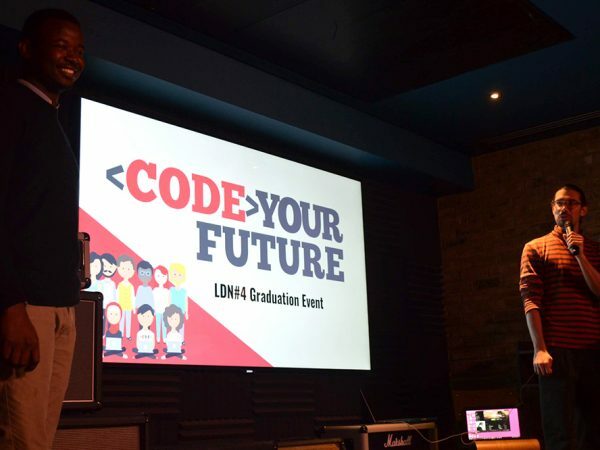 Nyade Mamadou Lamine, founder of Mama Venture. 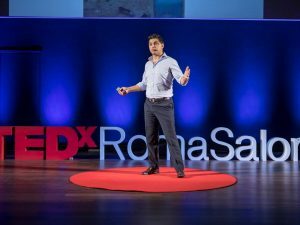 “My mission is not only to open a business and make money; my mission is to create a service and to promote inclusion, bringing about the understanding that migrants, or second-generation Italians are useful to Italy; they are an advantage and can also be a turning point for the economy. There is a new economy, new market demands; why not exploit them and bring about a new economy?” said Keltoum Kamal Idrissi, who is based in Cesena. 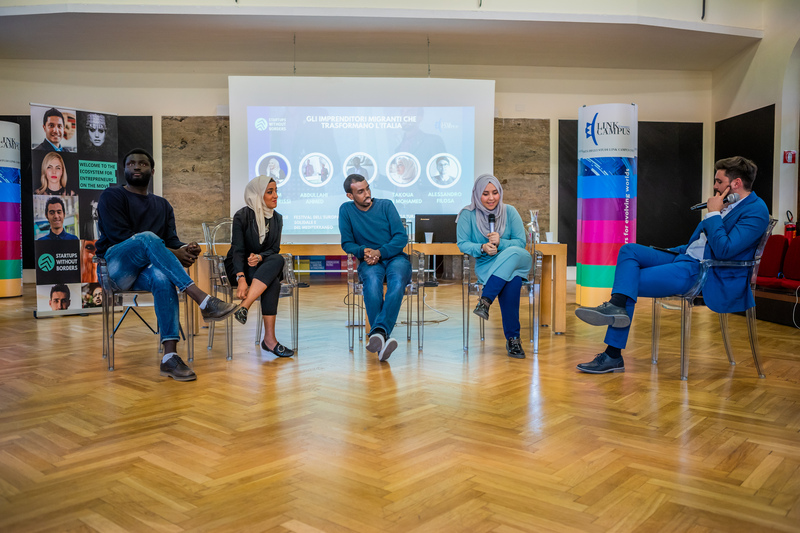 Nyade Mamadou Lamine, Takoua Ben Mohamed, Abdullahi Ahmed and Keltum Kamal Idrissi in a panel on “The Migrant Entrepreneurs Reshaping Italy” moderated by Alessandro Filosa. “We are the first investment fund entirely dedicated to migrant entrepreneurs, and with a social focus. 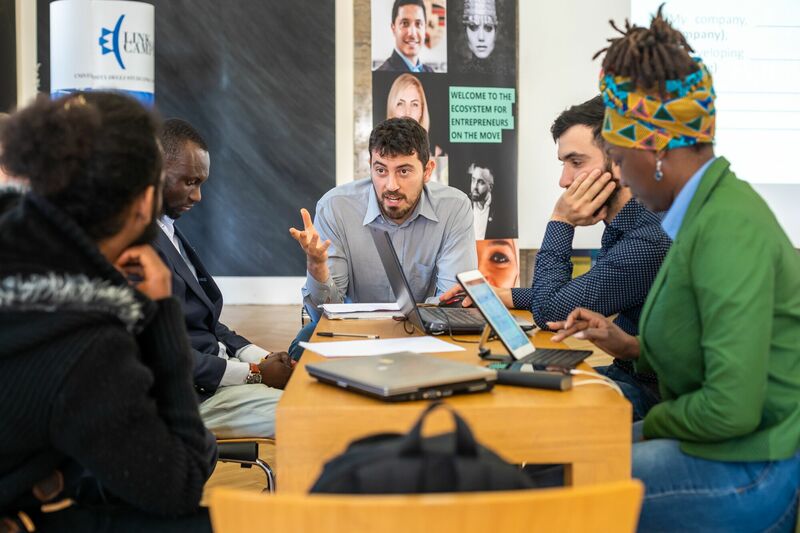 We aim to solve the problems of the migrant community in Italy, starting with ourselves. 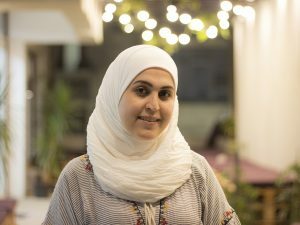 Migrants often see their problems tackled by someone else, who probably doesn’t know the community’s problem that well. That means we’re lack of solutions that come from the migrant community’s talent,” says Nyade Mamadou Lamine, founder of Mama Ventures. 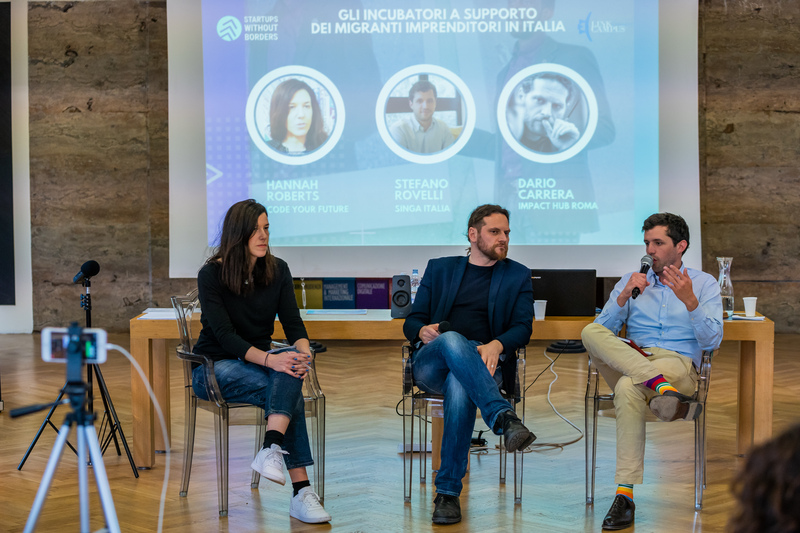 The second panel discussed the opportunities and challenges of incubating and supporting migrant-led startups, featuring Stefano Rovelli, co-founder of SINGA Italia, and Hannah Roberts, co-founder of Code Your Future, recently launched in Rome. Hannah Roberts and Stefano Rovelli, in a panel on “The Incubators Supporting Migrant Entrepreneurs in Italy” moderated by Dario Carrera. 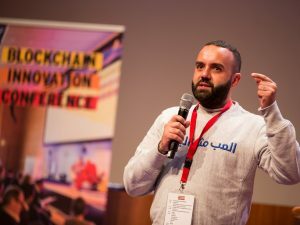 “Our incubator is a little particular because it’s very long – it includes a pre-incubation program – but also because we realized Milan is not like Berlin, Zurich, or London; in Italy, the entrepreneurial fabric is made up of small companies, very focused on artisanship and product innovation. 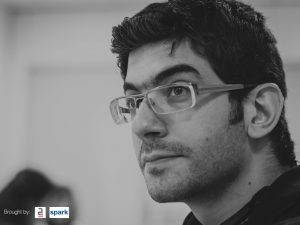 So we asked ourselves: why not create an incubator that addresses these entrepreneurs and focuses on product innovation, rather than going straight to tech innovation?” said Stefano Rovelli, co-founder of SINGA italia. First founded in France, SINGA is now a European reality, which recently expanded to the USA. “I came to Italy 6 years ago working as a journalist. 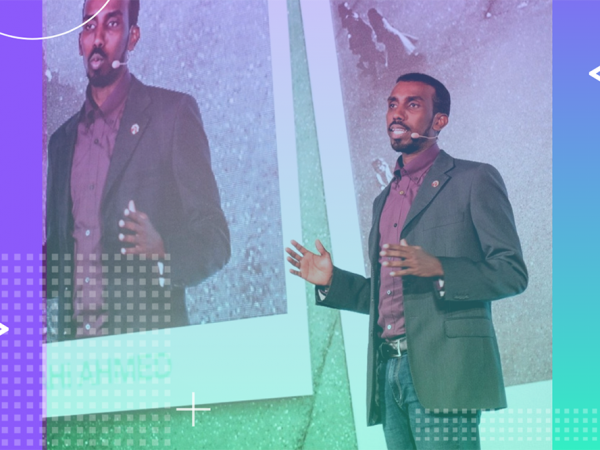 Last year, I met a group of refugees from Somalia, Sudan, Ethiopia and Eritrea. What struck me the most is that they had been here for 12 years and hadn’t been able to integrate into society. 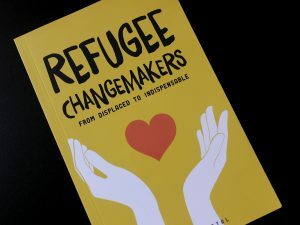 I tried to interview them, and they told me they were sick and tired of interviews; they wanted concrete solutions,” said Hannah Roberts, founder of Code Your Future in Italy, as she explains the inception of the coding school for refugees. Italian entrepreneur Lorenzo Di Ciaccio, leads a mentorship session during the workshop. 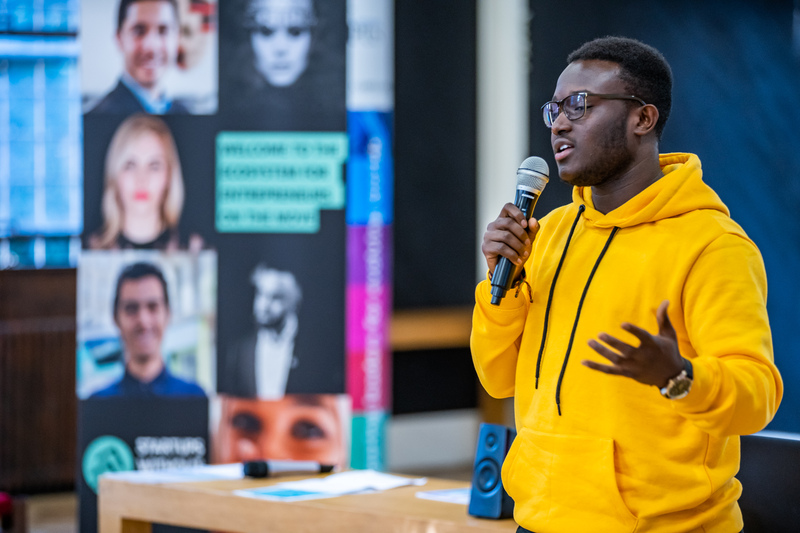 After a workshop for newcomer entrepreneurs held in the morning by ARMNet founder Simone Demelas and a series of mentorship sessions, 5 entrepreneurs from Ghana, Gabon, and Camerun got on stage to participate in the pitching competition. 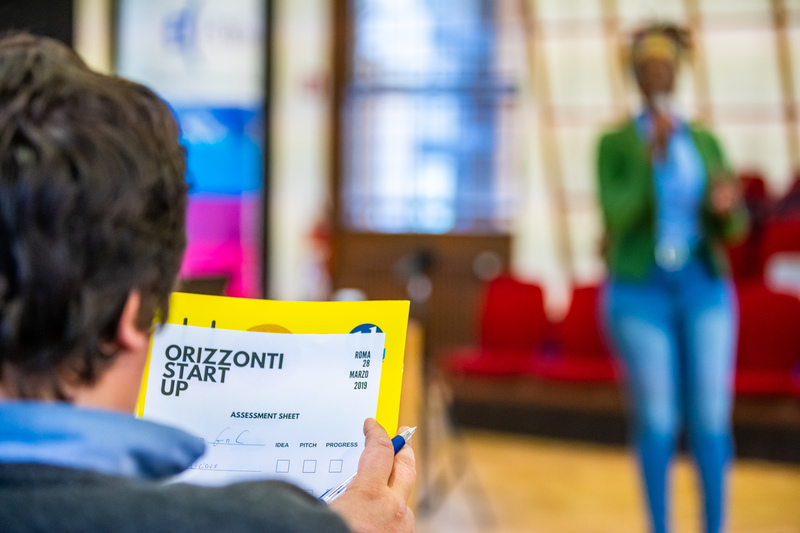 The first prize, a pass to the Gladiator Challenge during Rome Startup Week, was given to Gabonese entrepreneur Delisia Essono, founder of “Blackalicious Afrofood,” a company that creates healthy recipes while valorizing African culinary heritage. 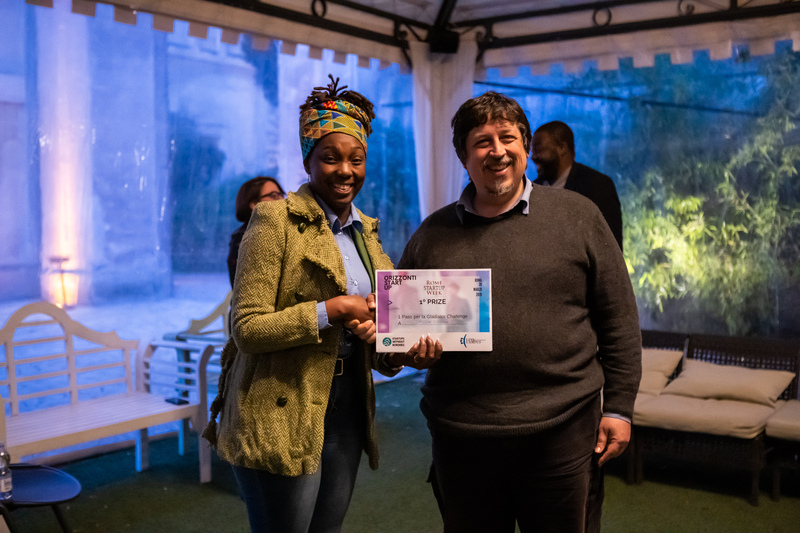 The second prize, a pass to the Heroes Meet in Maratea Festival, was given to Camerunese entrepreneur Laetitia Feugaing, founder of Afrofashion company LF Design. 5 entrepreneurs from Ghana, Gabon, and Camerun got on stage to participate in the pitching competition. 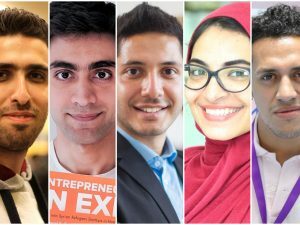 5 entrepreneurs pitched their ideas at the competition. 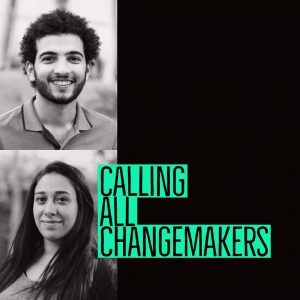 All 5 finalists, including Kwadwo Asante-Afari, Emmanuel Osei, and Abdoul Khadre Bah, won 5 scholarships provided by Fondazione Opes-Lcef and CGM to participate in the Social Enterprise Open Camp – Gender Smart Investing on June 22-25th in Naples. Carlo Medaglia, Valentina Primo, and Massimiliano Falcone led the opening speeches. 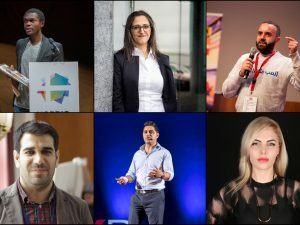 “We were incredibly inspired to see entrepreneurs coming from all corners of Italy, from Bologna, to Turin, to Siena, who came to the event with an enormous grit and the sheer will to create new realities. 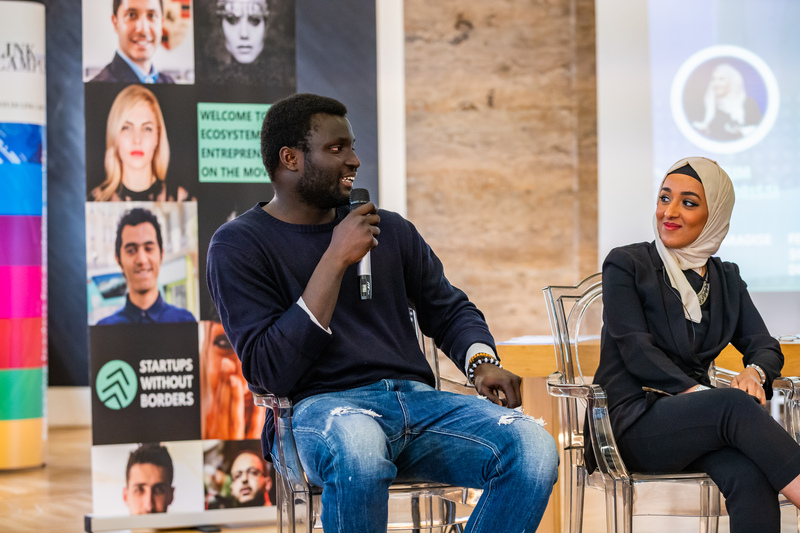 We always say we don’t want to give migrant entrepreneurs an opportunity; we believe they are the opportunity – this first event was a testament to that,” said Valentina Primo, founder of Startups Without Borders. Roma Startup’s Chairman Gianmarco Carnovale gives the first prize to Delisia Essono. “Universities are often seen in Italy as a crystal tower where research is done with a lack of interest for the outside world. 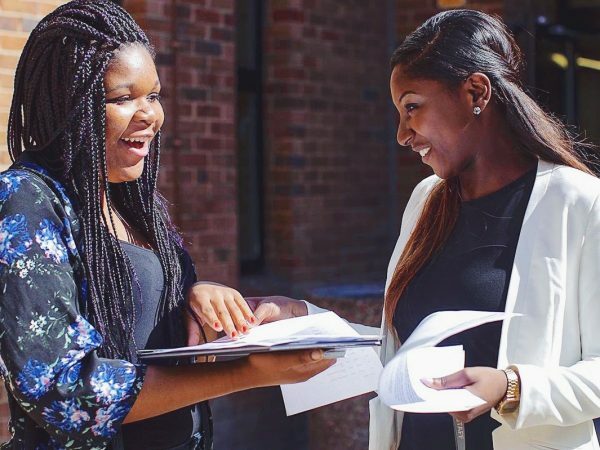 Our mission as a university is very different, due to the fact that we create an ecosystem that generates real results, whether in a nearby area or a distant territory, because technology allows us to create communities far beyond the walls of this building. 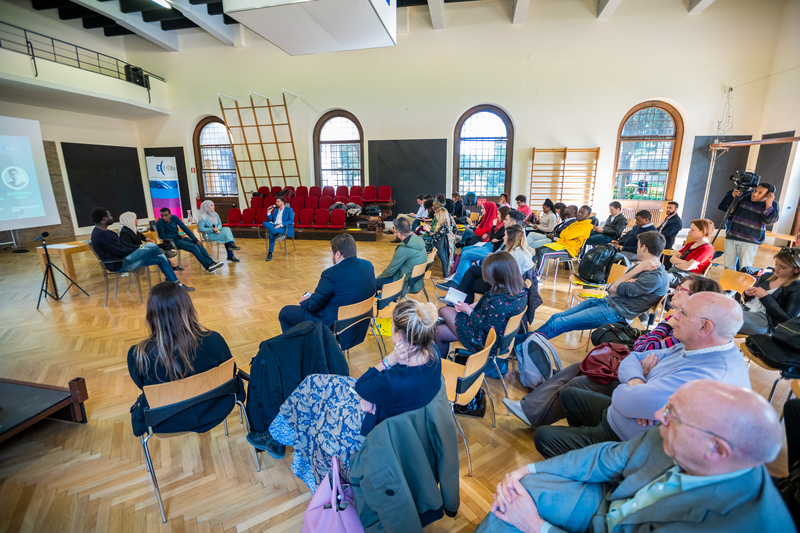 For us, it is fundamental to be a partner today, with our spaces and our heads, and to be present in the participants’ ideas,” said Carlo Medaglia, Director of the Research Department at Link Campus University.